This is the best short form science fiction of 2005, selected by David Hartwell and Kathryn Cramer, two of the most respected editors in the field. The short story is one of the most vibrant and exciting areas in science fiction today. It is where the hot new authors emerge and where the beloved giants of the field continue to publish. Now, building on the success of the first nine volumes, Eos will once again present a collection of the best stories of the year in mass market. Here, selected and compiled by David G. Hartwell and Kathryn Cramer, two of the most respected editors in the field, are stories with visions of tomorrow and yesterday, of the strange and the familiar, of the unknown and the unknowable. 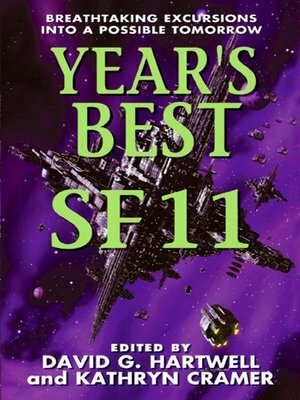 With stories from an all-star team of science fiction authors, "Year's Best Sf 11" is an indispensable guide for every science fiction fan.